I want to share one of my favorite Kundalini meditations with you. It’s called Kirtan Kriya. This meditation is awesome for a few reasons. First, it’s really easy to do! If you’re a beginner when it comes to Kundalini yoga, this is a great introduction. And if you’re a longtime Kundalini practitioner, you know this simple practice is very powerful. If you’ve read my book Miracles Now, you may be familiar with Kirtan Kriya. In the book I talk about how many Kundalini meditations strengthen your brain. And in fact, many brain tests and scans have proven that Kirtan Kriya has incredible effects on the brain. In one study, participants who meditated 12 minutes a day for eight weeks experienced improved mental clarity and up to 50% better memory! Kirtan Kriya is also a powerful practice for mental balance. If you experience mood swings, practicing this meditation regularly can even out your moods. As a final benefit, Kirtan Kriya is awesome for pregnant women and women who are trying to conceive! This Kriya is like a singing meditation. (In Sanskrit, Kirtan means “song,” and in Kundalini yoga, a kriya is a specific set of movements.) But don’t worry if you don’t have a great singing voice. I don’t, either. And I sing it loud, even in group classes! Kirtan Kriya involves repeating four primal sounds: Saa, Taa, Naa, Maa. This is the mantra for the meditation and it’s very uplifting. Watch the video below for guidance on how to do Kirtan Kriya and my own experience with it! Then keep reading for written guidance, as well as a Spotify playlist of my favorite music for this meditation. Sit in Easy Pose on the floor or on a chair/couch. Easy Pose is a simple cross-legged position. But if you’re new to yoga you might want to start on a chair or couch, because Easy Pose can be deceptively difficult at first. Sit however is most comfortable for you. With this posture there’s a bit of a neck lock. The back of your neck is straight and your chin is down. You almost feel like you’re being pulled up by a cord. Sit up straight and allow yourself to be in alignment. Rest your hands on your knees with your palms facing upward. While chanting the sounds Saa Taa Naa Maa, you touch your thumb to your index finger (saying Saa), thumb to middle finger (saying Taa), thumb to the ring finger (saying Naa) and thumb to the pinky finger (saying Maa). You can practice using music, or you can do it on your own. If you do it on your own I suggest using an app like Insight Timer. This free app lets you set intervals with gentle sounds that indicate it’s time to transition your chanting. At the end of your meditation, stretch your hands up in the air. Open your hands wide and shake your arms over your head as you breathe in and out. Shaking it out like this is a great release. You can practice Kirtan Kriya for up to 30 minutes. But I like to practice for 11 minutes a day. This makes it very doable. We can all easily find a spare 11 minutes in the day! For maximum effect, I recommend practicing Kirtan Kriya every day for 40 days. You’ll deepen your spiritual connection and you’ll improve your mental cognition. As I said earlier, Kirtan Kriya is a beautiful practice for a new meditator. Often when you’re new to meditation, you have a hard time quieting your mind. What’s gorgeous about this meditation is that you forget about your own thoughts! If your mind wanders, just come back to the mantra. Lose yourself in it and let it be your guide. If you practice another form of meditation, you can simply add Kirtan Kriya to your daily practice. I practice Transcendental Meditation, so I just added Kirtan Kriya every day during my 40-day practice. But I kept my TM practice as well. I hope you enjoy this beautiful Kundalini meditation! If you want to practice Kirtan Kriya with me, there is a beautiful guided meditation available in my Miracle Membership. 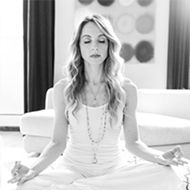 Every month I share a brand-new guided meditation to help you stay consistent and tune in. 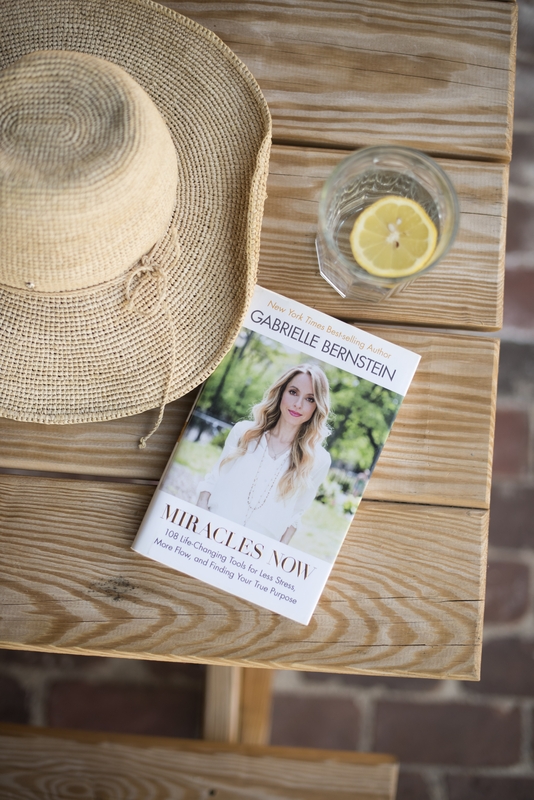 If you want to amp up your meditation practice, check out the Miracle Membership. I told myself this morning that I was going to do whatever Gabby said to do in the Monday a.m. email. Oh my. What a treat. Thank you for taking me back to N. Kaur and for helping me re-align. I will be committing to this for 40 days. I need the stability and a lightened spirit. Blessed Be. Found the meditation on YouTube. Did it. I am committed to doing this for the next 40 days. My meditation practice has certainly been lacking, but the power of it was more than clear at the Judgement Detox Workshop at Hay House Live in Toronto this Sunday – so worth the trip from Vancouver – p.s. come back to Vancouver!! I have been neglecting my spiritual practice of late (due to crazy stress at work – but really the time I need it the most!! ), and am now recommitting!! Was moved by both with music/chanting this weekend, so think that may be my secret to finally solidifying meditation in my life 🙂 Huge HEARTS for you Gabby!! And PPS – come back to Vancouver!! Yay Love Miracle Membership! Which month is this guided one in?! Awesome Gabby, thank you. Let’s do it! Thank you Gabby! I was spiraling after an upsetting weekend in which I had no control over. I was trying to pull myself out of the “funk” and received this in my in box this morning. So here I am. Day 1 accomplished. I feel like part of the fog has been lifted and I can get re-aligned again with my true self. This is great and I have been trying to start meditating but not sure how. I think this sounds doable and really want to try this. My husband and I are struggling with life and I want him to do this as well. Do you suggest we do this together or separately? Thank you! I just saw this reply now after I submitted another comment. Please ignore that one and thank you for the reply! I just discovered Kundalini and we did this in class! Thank you for sharing this so I can do it for 40 days!!! Thank you Gabby. I discovered your work during the lowest point in my life and I continue to benefit from your teachings, as well as meditation. You are a blessing! Going to start 40 days today!!! I am excited to try this! Thank you for the easy to follow guidance! It seems manageable for someone with a busy schedule!! You are so wonderful and inspirational!! Thank you! I’m on Day 2 of the 40 days! Such a lovely way to start the morning! My friend does it at night and says it’s the best sleep ever! I found a great 11 min track on YouTube that totally matches the method you describe. oh yes it totally helps you sleep! Thank you for this meditation Gabby! I am on day 4 and am exhausted at tbe end if it. Is this normal? I have been doing it in the afternoon. Should i do it at night? I am in for 40 days too. Starting on 28.05. in beautiful Berlin. Sending love. Thank you Gabby I am looking forward to diving deep into Kundalini for 40 days. Hello, I love you! Thank you for all you do! So going to do this! Also trying to get my daughter because she really needs it! I just found your videos on you tube. For some time i have been trying to find a way to live a peaceful happy life after many years of emotional stress and trying to cope with the loss of both my parents. I am glad that i found your website and i have taken a lot from it, I am excited to try meditation and feel ready to let go of a lot of stored up Guilt and sadness and start living again. Also i noticed your beautiful necklace that you wear often, does it have some meaning to you? I’m on day 11 of 40! I read of this in The Telomere Effect book. The UCLA study referenced in the book found that after 2 months participants had a 43% increase in telomerase (as in cellular health), decreased gene expression of inflammation, less depression, as well as cognitive abilities improvement. Well worth 12 minutes a day.